Want to hear an interesting statistic on copper landlines versus fiber/wireless connectivity? According to a 2015 study, less than 8% of homeowners only have a landline while 47% of homeowners use a cell phone exclusively. We're confident this trend will continue. Plus, with the additional benefits of fiber and wireless connectivity, businesses are following the same trend. With fewer homeowners and businesses on landlines, the copper network that supports landlines will become uneconomical to maintain. The message to businesses still using landlines? Now is the time to consider a move to the cloud. Does that mean it makes sense to move your businesses phone system to the cloud right now? Maybe, maybe not. In this article, we're going to look at the pros and cons of moving to the cloud so you can get a better idea of whether or not it's right for your business. A cloud-based phone system replaces traditional copper telephone lines and a premise-based phone systems (hardware in the phone closet of your office). It utilizes Internet Protocol (the "IP" of "VoIP") for making and receiving phone calls, treating voice calls as data that is uploaded and downloaded in real time. Because of the distributed and connected nature of the Internet, the phone system exists on the network outside your office. It's in "the cloud." It's always reachable, provided you have connectivity, and isn't susceptible to onsite problems like power outages. Cloud-based phone systems require less hardware, lower costs, and better reliability. When the power goes down, so does access to your system. For any business that relies on a phone for sales, production, and customer service, downtime is more than a frustration—it's a measurable hit to profitability. But with an IP phone system, advanced features instantly respond to an outage. By setting up call forwarding to cell phones or auto-attendant backups, small outages can be almost imperceptible to customers and partners. In the case of a major outage, cloud-based systems are easily transferred to a wireless backup system that keeps your business running as long as the outage continues. Go it alone and rely on your internal staff to maintain security and functionality. Choose a telecom partner that operates major data centers which are certified for every major government regulation and offer best in class security, 24/7 monitoring, and backup support. Hurricanes, extreme weather conditions, user error, and unexpected outages are going to happen. In the event of a disaster, what happens to your phone system? Features such as wireless backup and redundancy programming are in place in most cloud-based systems. This helps to get businesses up and running as quickly as possible with limited disruption. In extreme weather and disruptions to a copper network, these features do not exist. Additional cost savings are seen in efficiency, lowered toll and add-on fees, and even productivity. Few phone systems require as little upfront setup and roll out costs as a cloud-based PBX. The cloud structure and minimal hardware allow cloud phone systems to be easily expanded, reduced, changed, or moved. The total number of lines can be increased without time and expense as a company gains momentum and faces an increased demand on their phone system. Landline-based phone systems just can't do it as easily or as cost-efficiently. In addition to scalability, IP phone systems offer tremendous flexibility. Most offer a robust set of advanced features which allow call forwarding, conference calls, and remote access. The benefit of phone system mobility takes business operations to an entirely new level. Remote, short term, and new locations can be added on the fly to support seasonal requirements or fluctuating business needs. 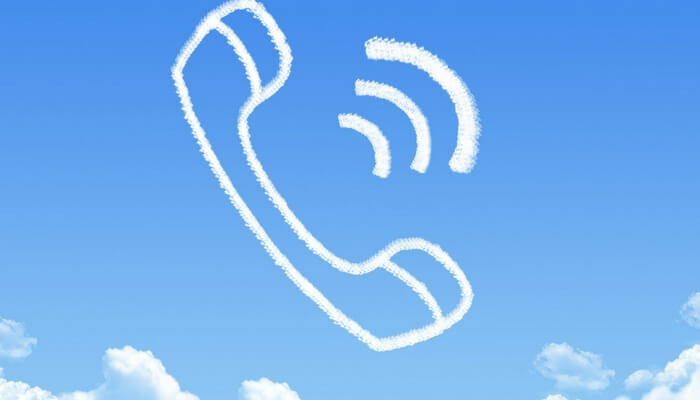 Cloud Communications: The Right Fit for Your Business? Amazing customer service and support from the right vendor offer incalculable benefits. A good partner will not only provide support and assistance, acting as a virtual IT department, but will also work with you to predict future needs, strategize on growth plans, and help streamline business operations. 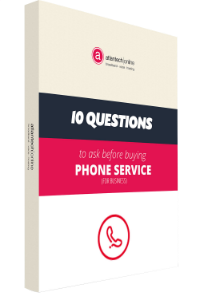 At Atlantech, we offer the top cloud-based phone systems available and pair them with our proven reliability and customer service. We urge you to call us today and see exactly how our cloud-based phone systems can aid your business.